It's that time of year. The sun is shining, birds are chirping and it's time to get the shorts, tanks and sandals out and enjoy the warmer weather. 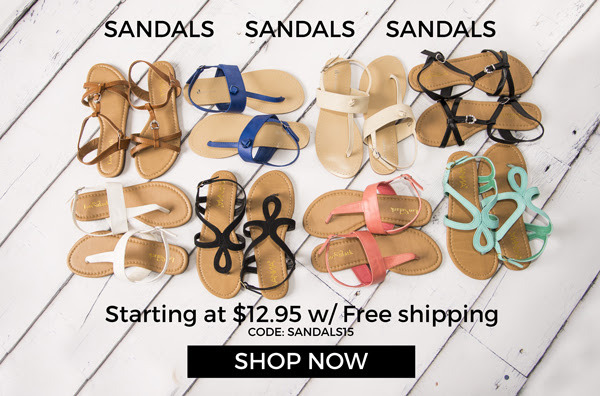 This week for Fashion Friday, 5/8/15, we are offering one of our largest selections of sandals starting from $12.95 & FREE SHIPPING w/ code SANDALSALE. 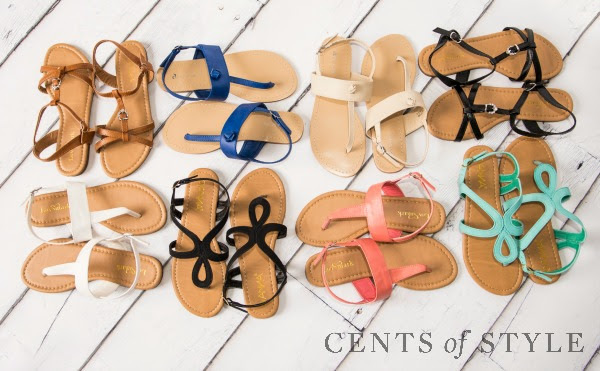 Most sandals are under $20 shipped and all are under $30 and FREE SHIPPING. 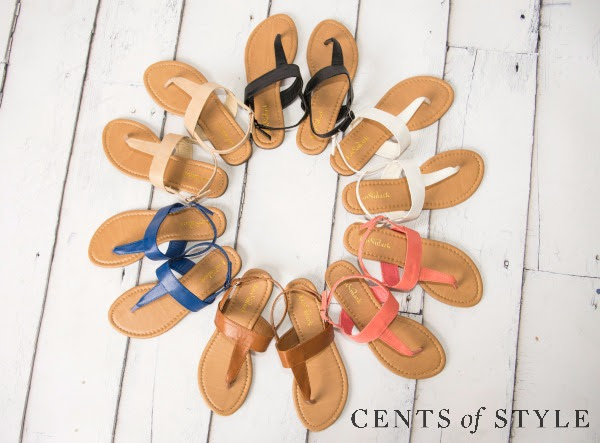 Fashion Friday- 5/8/15- Sandal Sale- Starting at $12.95 & FREE SHIPPING w/ Code SANDALSALE. 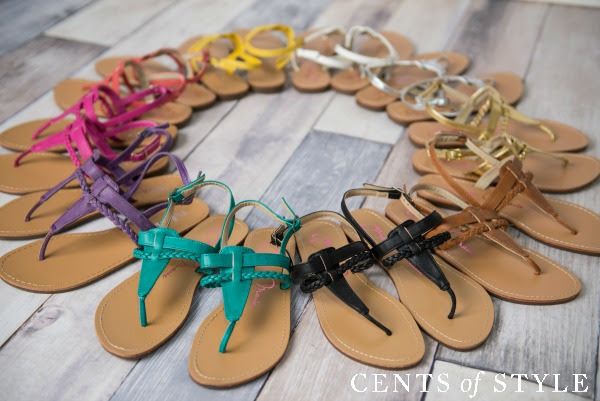 Style Tip: A metallic sandal is my go to summer shoe. Gold, rose or silver, you treat it as a neutral and it looks great with every look.